Short Information: Staff Selection Commission, SSC, are Recently Uploaded Paper I Result, Marks for the Recruitment Post of Sub Inspector and Assistant Sub Inpector in Delhi Police, CAPF and ASI in CISF CPO Vacancy Examination 2017. Those Candidates are Registered to the Following Vacancy and Complete All Eligibility Criteria Can Read the Full Notification and Download Result, Marks. Pay the Exam Fee Through Credit Card, Debit Card, Net Banking Or. Pay the Exam Fee Through Offline E-Challan Mode Submit Fee at Any Branches of State Bank of India. Passed Bachelor Degree in any Stream in Recognized University in India. For Delhi Police SI: Valid Driving License for LMV. 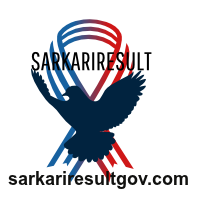 Registered Candidates Can Download Paper I Result, Marks.